When deciding on a sanitation project, it is important to create a lasting solution for the needs of the population in question. Any project must undergo a preliminary analysis of the relevance of technical aspects, the cost and financing method for the work along with the management method and maintenance costs. The purpose of this sheet is to suggest a sort of checklist of questions that must be raised before launching a sanitation project. It is targeting especially populations in rural areas, small urban areas and peri-urban districts. Any sanitation project must satisfy the needs of the population that have been correctly listed and analysed. Good technical design, suitable financing and installing a suitable, efficient management method are the prerequisites for a successful project. The failure of a sanitation programme can downgrade the hygiene and health conditions in a community as well as being a waste of time, energy and money. 3) What do these recommendations involve ? How to design the most suitable project ? Technical, financial and sociological criteria govern the choice of infrastructures. These three aspects combine to select the best solution that is technically feasible, financially possible (construction and servicing) and accepted by the community. - Who is responsible for the project ? : this involves trying to highlight the project "sponsors", i.e. the people or institutions who launched the idea, who made the first contacts, etc. It is important to set out clearly the representativeness of miscellaneous contacts, especially in relation to the population. - What are the priority needs ? : Does this, for example, involve dealing with the most urgent matters first by allowing the population to acquire latrines and, if yes, what type of latrine and how ? Has the awareness of the population already been raised to the hygiene and health problems ? Or does this mean alternatively - or additionally - producing communal wastewater transport or treatment facilities ? standard or environmentally-friendly treatments ? The proposed use of the planned facilities must therefore be analysed very carefully, for this governs the techniques to be used as well as the actual and future needs of populations. - How are these needs covered at the moment ? : If the village or district already has its own sanitation system - and it is probably insufficient or shows room for improvement -, it is important to analyse this existing system carefully, focusing on its shortcomings and on what can be preserved or simply adapted. - Is the project in line with the national sanitation policy ? : any new facility must be encompassed by the national policy and contribute to its development. It is important in any case to understand precisely and comply with the relevant regulations. - The surface area available for constructing the engineered structures. - The type of soil and its permeability. The depth of any rocky or other type of layer likely to limit excavation depth should be indicated. - The techniques and actual constructions in the region. This information can be used to eliminate certain solutions. For example, raised ditches should be built where there is a rocky layer or shallow water table, or double ditches that are shallower than the single ditches. Another example - the soil must be sufficiently permeable so that flush lavatory sumps can function correctly. The sanitation system must be designed as a complete system, including the receiving technology, transport and final destination of sludge. - Who will benefit from the intended sanitation system ? The first task is to take a census of the population that will be concerned by the construction of sanitation systems, the number of inhabitants and the situation of dwellings. This will be used to determine the number and location of latrines to be built, for example. - Is this family and/or communal sanitation or installed in a school ? The number of dwellings involved in a family sanitation system must be counted. For communal systems potentially replacing or supplementing the family facilities, the number of people likely to use them based on their location must be assessed. For schools, the number of boys and girls must be assessed separately and separate latrines planned. - How is the water supply brought in ? 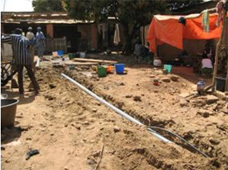 Where dwellings have no water supply, the sanitation technology retained should be able to function without water except what is required to clean the facilities. Flush lavatories will only be planned where there is a guaranteed supply of sufficient water all year round. - What is the type of dwelling ? 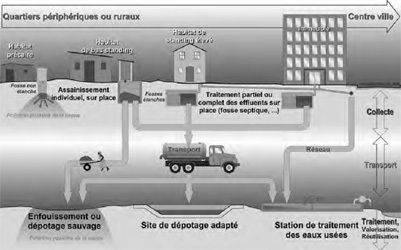 The sanitation system must be adapted to the type of dwelling as illustrated in the diagram above. 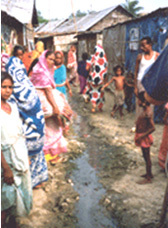 Ditch latrines are particularly suitable for makeshift or poor dwellings in rural areas which do not normally have a direct supply of drinking water. Flush lavatories are suitable for higher-grade housing and apartment blocks with a water supply. - What are the emptying and evacuation options ? Excreta and wastewater can be evacuated selectively by emptying ditches or continuously via a network of sewers. 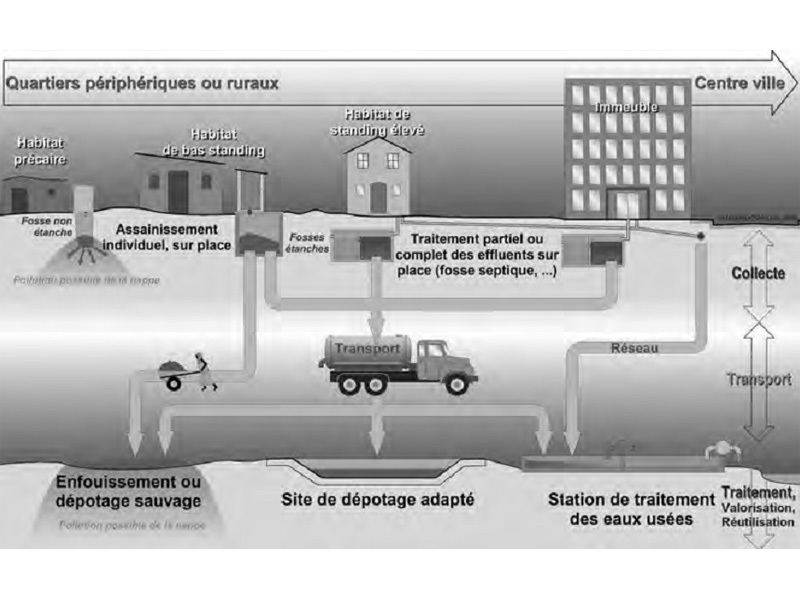 The sanitation access method is chosen according to the evacuation and financing options. Family sanitation giving each household its own lavatory or latrine is the ideal solution. Nevertheless, ditches can only be envisaged when regular emptying is guaranteed. Flush lavatory installations also require an evacuation system via a sump or a sewer network. Where this service does not exist, thought should be given to installing one or providing community facilities only. - Where will the sludge land up ? For reasons of hygiene, the excreta and wastewater conveyed by lorry or a sewer network must be evacuated outside built-up areas to a disposal site or treatment station. 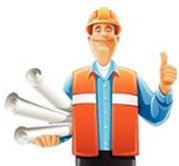 The reception place and method must be chosen when preparing any sanitation project. The technical criteria are used to determine the possible solution(s). The costs relating to each option retained (preliminary studies, investment in infrastructure construction and operating costs) must also be assessed and the financing method sought. The cost must normally be based on using locally-manufactured materials and equipment as much as possible. The population is familiar with them and local labour can be used to install them. Both the cost of the equipment itself and of maintaining it must be calculated. Infrastructures are normally financed from public funds, but some funding can come from an NGO or population participation. The population must be capable of supporting the operating and servicing costs to ensure the enduring viability of the project. It is a good idea to create a temporary management committee or user association (see sheets C6 to C8) which will provide communities with information on the content, the financial implications and the maintenance of different options. This committee would also be responsible for setting up the final management structure in charge of maintenance and for initiating or continuing to train the population in the hygiene and health rules. 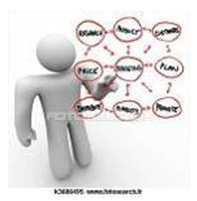 - Who should be chosen or confirmed as principle and thus the effective owner, will decide or confirm the solution retained, will provide the necessary funds, ensure compliance with the regulations, set the tariffs and the use regulations, place the orders and accept the work ? - Who will be responsible for inspecting the work ? A Design Office or independent service ? Someone nominated by the lending institution ? With the support or participation of local official technical departments ? 4) Where to obtain further information ? - EAWAG-WSCC : A highly-practical, illustrated 102-page book entitled Community-Led Urban Environmental Sanitation Planning CLUES. 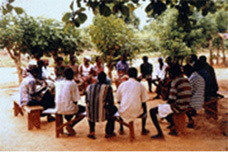 This is a more general work, intended more for those interested in basic community management of sanitation programmes. It nevertheless contains valuable technical and animated information for anyone creating projects along with several technical sheets (Tool boxes) on pages 68 to 100, including T20 Sanitation Costing Tool, T23 Contents of an action plan and T29 Project management. - WATERAID. 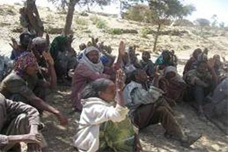 This three-page document Considerations before design states more especially the numerous problems, not just technical ones, that must be considered when designing a project and in particular what must be done with the population and villager committees. - WHO : Individual sanitation guide, a very comprehensive and detailed 251-page guide on all individual sanitation systems.